Postnatal Exercise with Baby Massage. From pregnancy to postnatal and beyond we have a programme to suit your needs. To go straight to booking your FREE Move with Mumma session please click here. Pregnancy fitness has so many benefits for you and baby. We will guide you through safe exercises for each trimester and train for mum life. Our prenatal exercise classes focus on posture, core & pelvic floor, full body strength and also take some time to relax your body and mind. 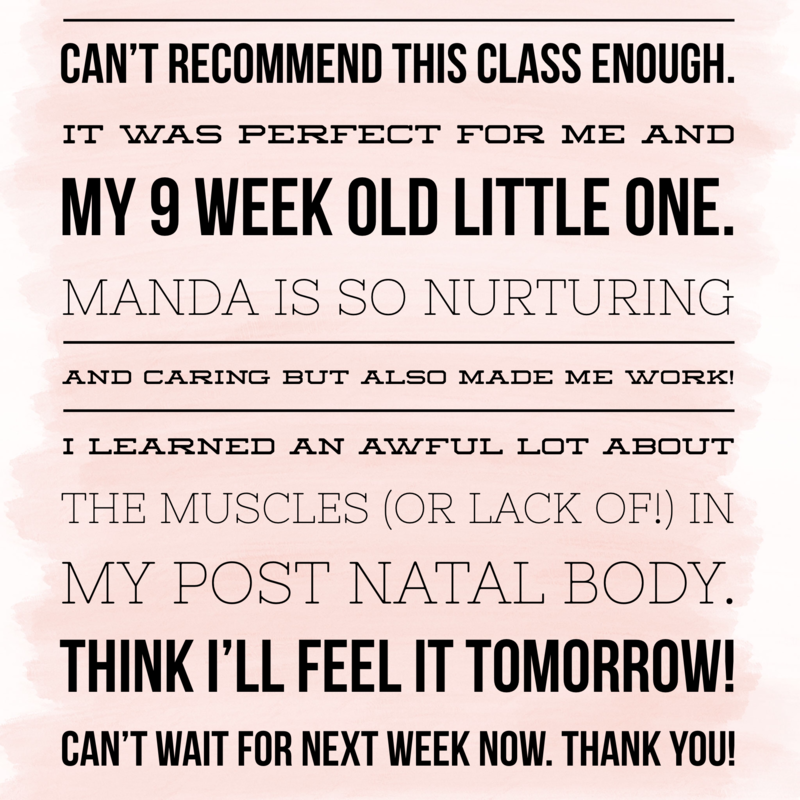 Our postnatal sessions focus on strengthening your whole body. We work on core and pelvic floor throughout the class to get you a stronger and flatter stomach. We use weights, resistance bands and safe exercises to help your body recover the right way. We will help correct posture issues and help with any postnatal issues such as diastasis or pelvic weakness. 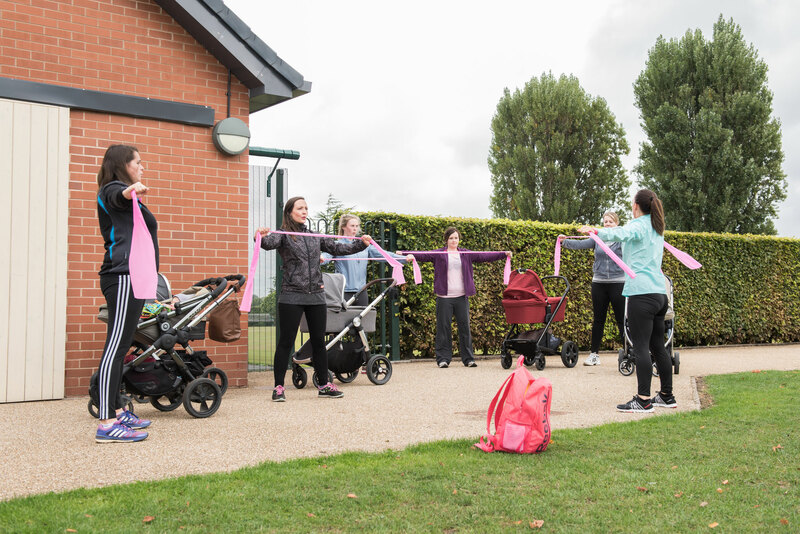 If you are looking for a friendly mum and baby fitness group, a safe but challenging workout and a way to meet new mum friends then Move with Mumma is for you, check out the reviews of our sessions here. For our full list of services and fitness programmes, please click here. 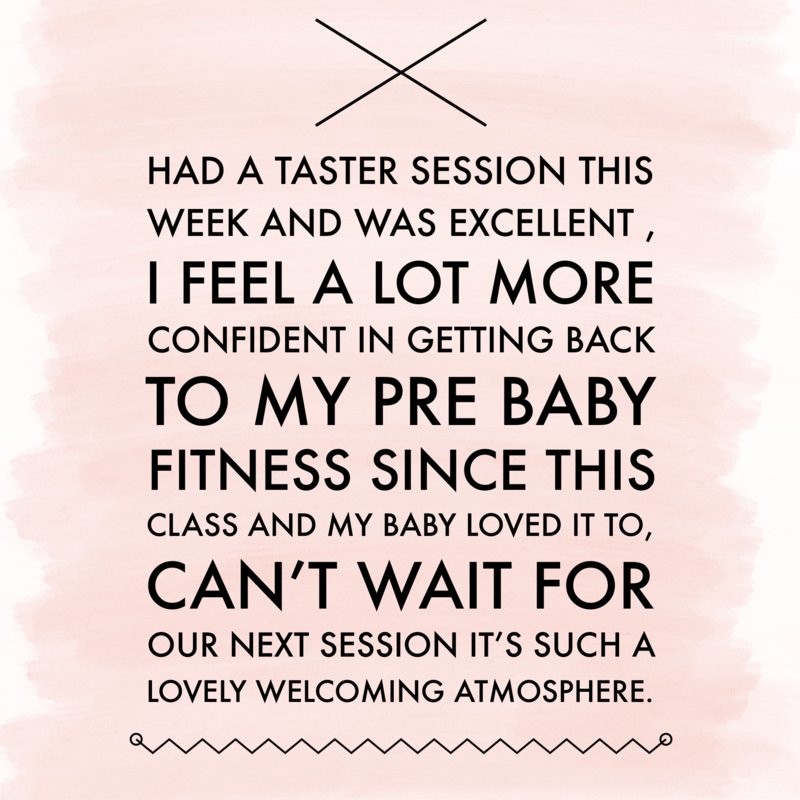 Why Choose our Post Natal Exercise Classes? Stronger Core & Pelvic Floor. Home Visit Postnatal Health Assessments - Unique Plans for Diastasis, Posture, Pelvic Floor and C-Section Healing. Build Body Strength & Reduce Body-Fat Safely. Postnatal Healing & Fat-Loss Manual with over 60 Recipes. Feel More Energetic and Confident. Meet New Friends and Join a Friendly Community. 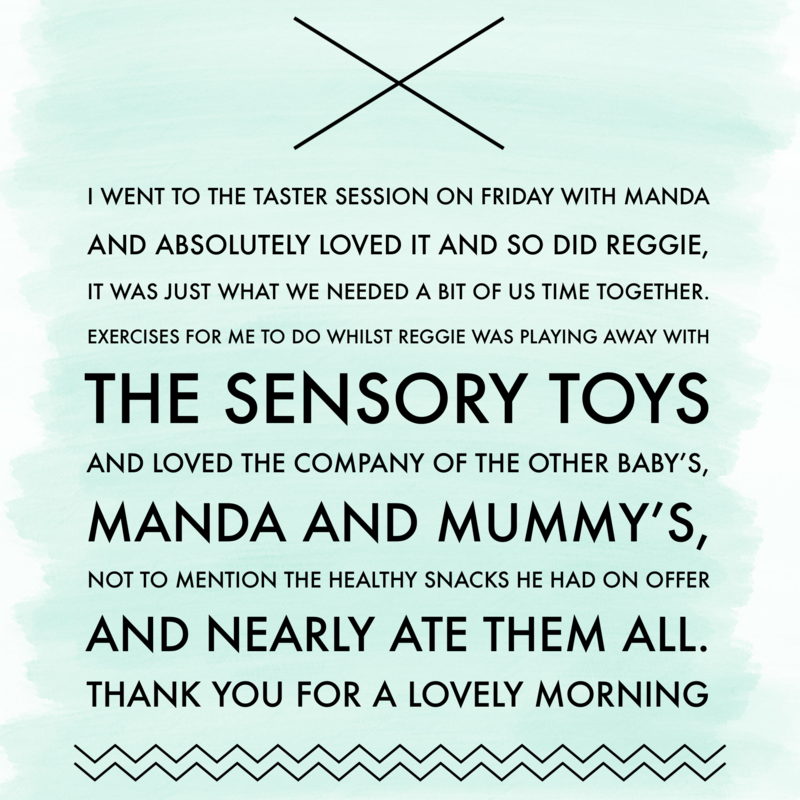 Read our 5* Reviews from other mums. For mums and any age baby or toddler that will happily stay in the buggy or the hour class. 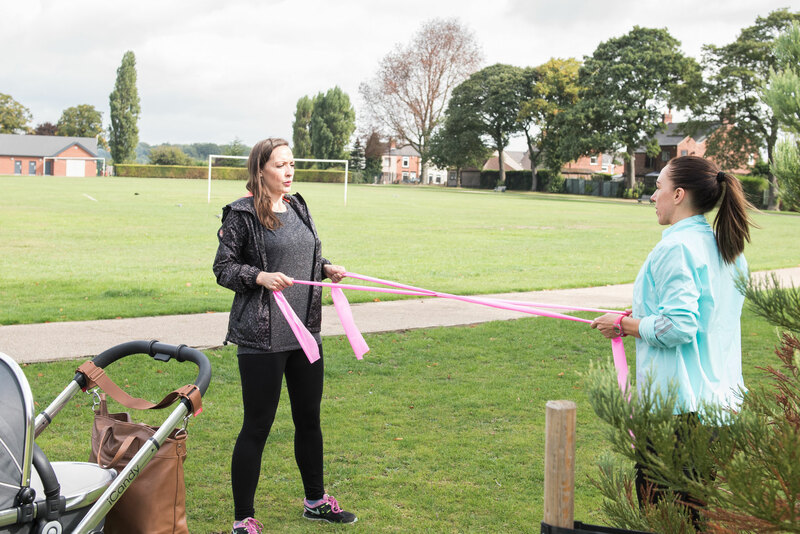 Buggy exercise sessions are a safe and effective way to get your body moving. Feel great in the fresh air. Lose body fat and get fitter. Strengthen your body for everyday mum life. Work on your core and pelvic floor safely for a stronger and flatter stomach. Have fun and meet other like-minded mums. Baby will be snug asleep in their buggy whilst you focus on YOU. For mums and babies up to 8 months. Postnatal Fitness and Baby Massage. 45 minutes Safe Postnatal Exercise to strengthen your body for everyday mum life and work on your core and pelvic floor safely for a stronger and flatter stomach. 15 minutes Social Time with other mums. Prenatal exercise for pregnant mums that have exercised before and during pregnancy. Indoor postnatal exercise. For mums and babies (4 - 24 months). Lose body fat after having your little one. No need for childcare, we have blankets, sensory mats and toys for your little one. Our sessions focus on strengthening your whole body for everyday life. We use weights, resistance bands and safe exercises to help your body recover the right way. We focus on core and pelvic floor work throughout the class to get you a stronger and flatter stomach. We will help correct posture issues and help with any postnatal issues such as diastasis or pelvic weakness. Your body has been through a lot over the past year, it’s important to be patient. We can help you with nutrition and healthy eating to heal your body and lose fat the right way whilst feeling strong and happy. If you are looking to continue your exercise through pregnancy then our Pregnancy Fitness will be great for you! Our classes are suitable for pregnancy fitness if you have been attending regular fitness classes or been exercising regularly pre-pregnancy. Our workouts can be adapted if needed, we have safe exercise options for all trimesters. You can book a free session or get in touch with Manda with any questions. If you would like to join us on these sessions please complete the health form below and we will be in touch. We offer a free session to each class so you can try out the class and see if it's right for you. Nurture Fitness includes 30 minutes baby bonding time which is designed around the age of your baby. We carry out baby massage routines to help you connect, understand and communicate with your baby. Baby massage is fantastic for bonding with baby. You can come and try any of our Move with Mumma classes for FREE. If you decide to join us then you can choose from one of block bookings, we have lots of options for you. Postnatal Health Assessments (home visits to take a deeper look at your recovery including posture checks, diastasis checks / advice and muscle releases ). Our 'Postnatal Healing Nutrition and Fat-Loss Manual'. We don't just tell you how - we tell you why! Once you become a Move with Mumma Member by booking your package, you will receive our Postnatal Healing & Fat-Loss Manual. Understand what your postnatal body needs to repair and learn how to fuel your body for healing and fat loss - includes OVER 60 RECIPES! Forget about losing the "baby weight" and dieting! Switch the focus to healing your body and lose body-fat safely with our delicious healthy eating recipes. 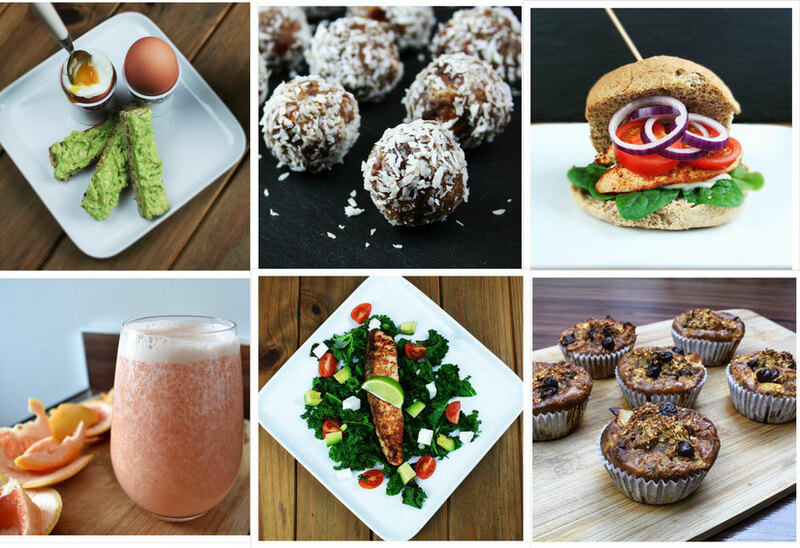 Check out some of our FREE Healthy eating recipes here. To see all our Testimonials please click here. Manda is absolutely fantastic at what she does! As women in general we are hard on ourselves but I was even worse after I had a baby!!! I have always been an active person even during my pregnancy, but after, I was not happy or comfortable with my body. I have been attending classes since September and I am really starting to see and feel a difference. As well as the exercise which is the perfect amount after just having a baby the food ideas and recipes are brilliant. I have always had a sweet tooth but I am now eating a proper breakfast and not feeling the need to snack! It’s lovely to meet other mums and babies. I think my baby loves Manda and the classes just as much as me, I feel like a different person physically and mentally and intend to carry on for as long as Manda will have us!! 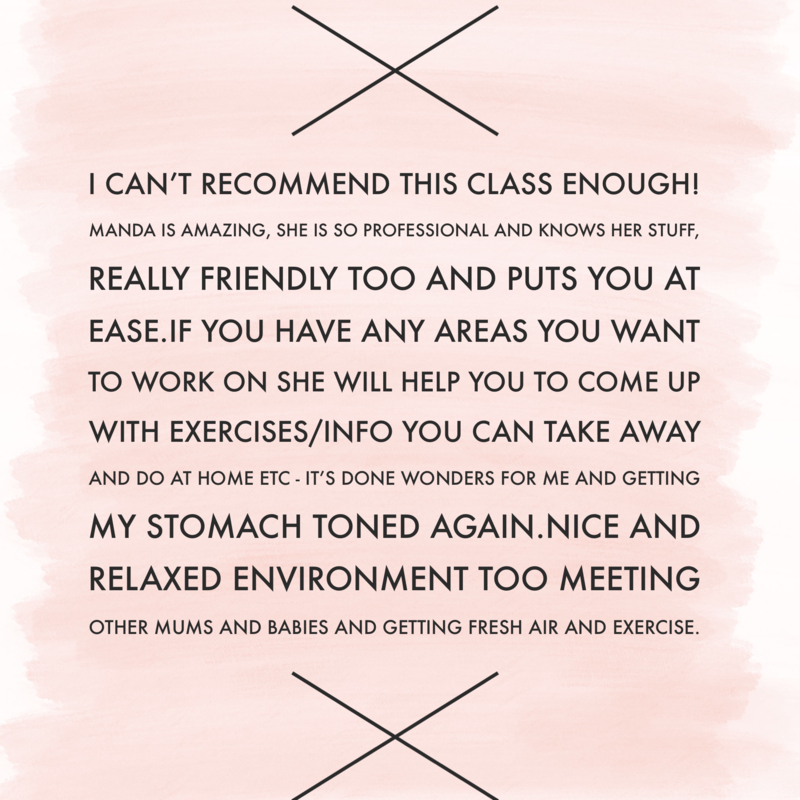 Manda is so knowledgeable and helpful I always feel like my pelvic floor is properly looked after in her classes. She creates a lovely atmosphere and completely understands when baby wants to do their own thing or even cry. The hiit and other exercises appear gentle but I always feel like I've had a good workout, especially the day after. Really pleased I found these classes. 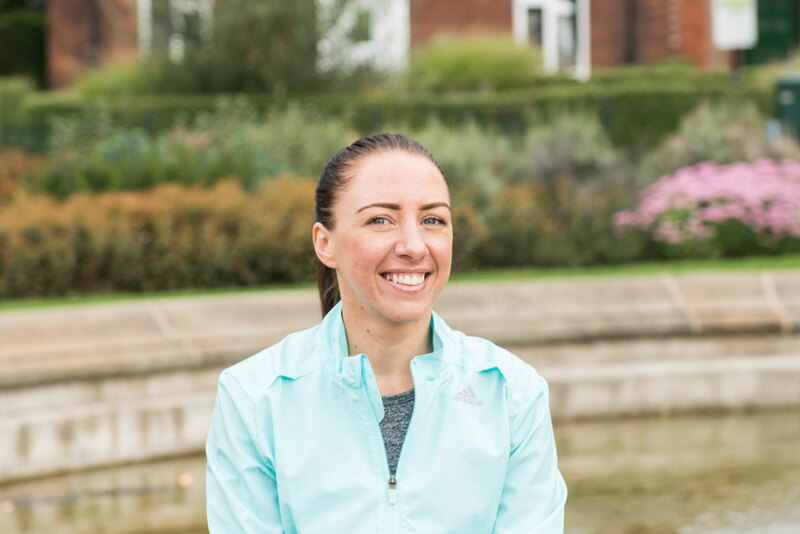 Manda is fab and gives excellent advice on eating and exercise and really keeps you motivated during sessions. 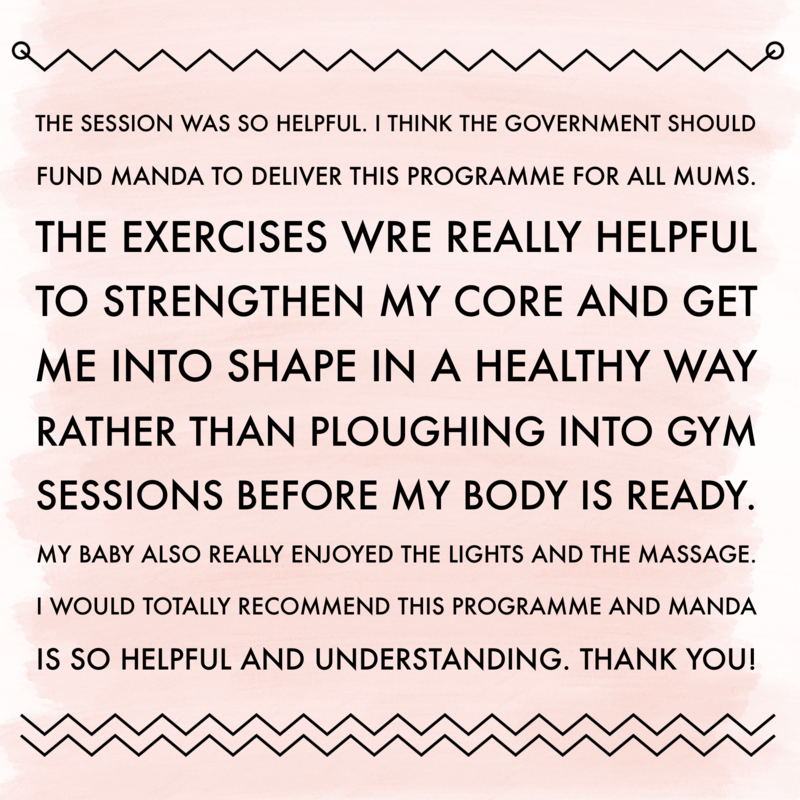 Sessions are well planned and really work your core and pelvic floor after having a baby! I try to exercise a lot outside of these sessions but I really feel it after a buggy fitness session. The sessions work everything but don’t feel that strenuous whilst doing it! 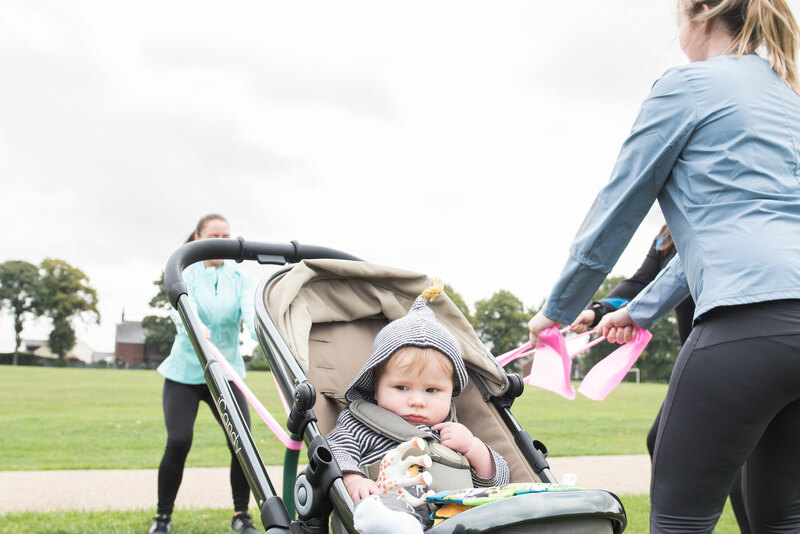 It’s easy as a new mum to get stuck in that rut of keep putting off going out that door until after the next feed, nappy change or after their nap etc so I’m the end you go nowhere...but buggy fitness gives you that somewhere to be feeling to motivate you for the rest of the day! I always feel vitalised after a session. If like me you struggle for a sitter, this is an amazing way to get fit socialising with other mums and not needing childcare. Click Here for our Free Recipe Downloads. Find us on Instagram and Pinterest for more free healthy eating idea's and Move with Mumma news. Help relieve wind, colic, constipation, teething and much more. 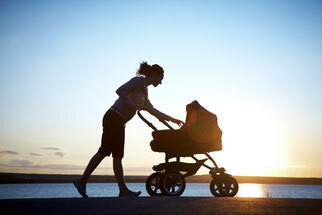 Create and develop the bond between you and your baby. Provides relaxation for you both. Stimulates and supports your baby’s physical, emotional and social development. Great fun to learn and a brilliant way to meet other parents and spend special time with your baby. Click here for more information on our baby massage sessions in Nurture Fitness. We run Zumba Fitness, Bootcamp, and Personal Training Sessions in and around Chesterfield, for more information please click the link below.